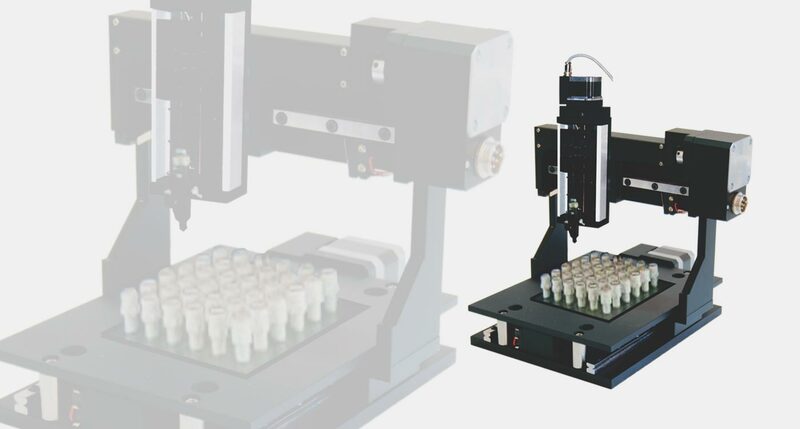 Holmarc manufactures desktop dispensers for automated dispensing of fluids to well plates/ test tube arrays. Our standard model HO-LS-DDU-A3 is a three axes system which has a dispensing area of 300 mm x 300 mm. The system operates through a personal computer. Various dispensing attributes are programmable through the computer.